Miss Dior by Christian Dior 0.25 oz / 7.5 ml pure parfum 50% full for women. This feminine scent possesses a blend of rose, gardenia, sage, and other green florals. It is recommended for daytime wear. 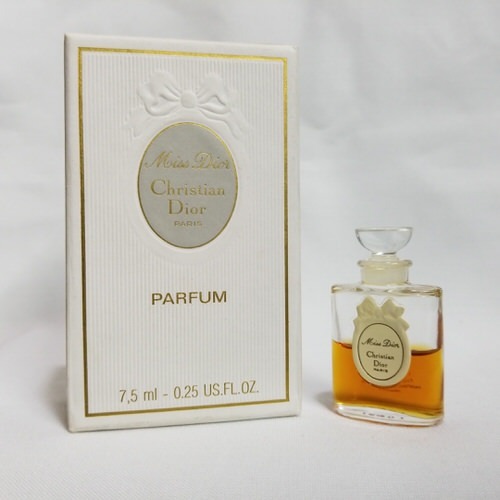 Notify me when "Miss Dior by Christian Dior 0.25 oz pure parfum 50% full" is re-stocked.